LED Type: Cree XP-G2 R5 with a life span up to 50,000 hours. 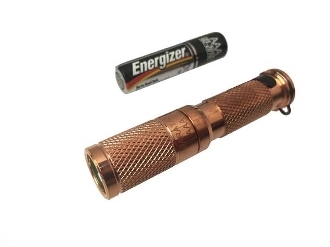 We do not recommend the use of 10440 rechargeable batteries with this flashlight. It is designed to use a off the shelf alkaline, lithium, NiMH or Nicad AAA batteries. We do not recommend use of higher voltage batteries.